En el Dolly Festival nos importa que te lo pases bien y puedas compartir tu tiempo con otra gente del hobbie. Por ello, a parte de las rifas, ofrecemos diferentes actividades. 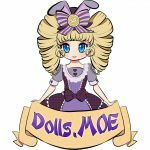 En nuestra sección de Actividades dentro de la web, encontraréis un resumen de todo lo que podréis encontrar en el Dolly Festival de este año. At Dolly Festival we care about you. We want that you enjoy the weekend with us by sharing your time with other people who loves that hobby as much as you do. So, apart from the raffle, we bring different activities. 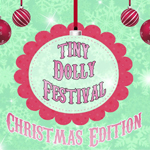 In our Activities section of the website, you will find a summary of everything you can find in this year’s Dolly Festival.